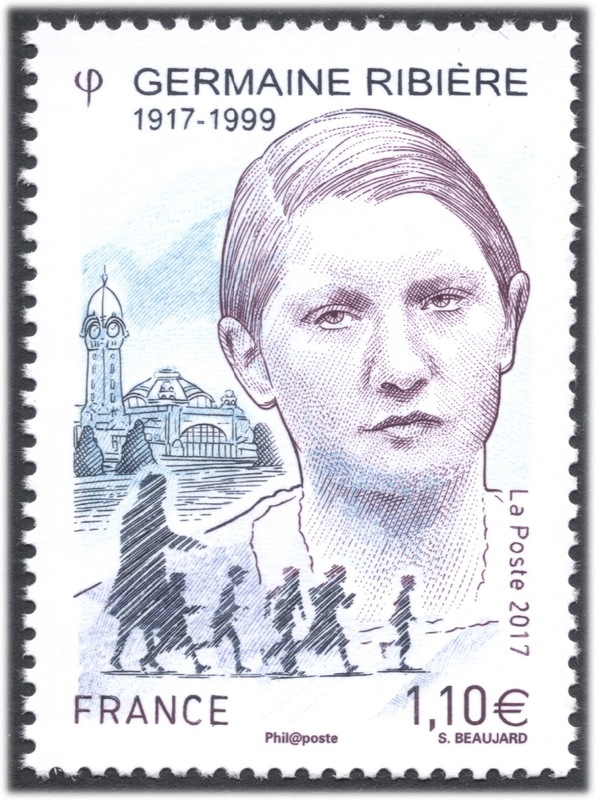 On 10 March 2017, Sophie Beaujard's first engraved French stamp was issued; a stamp portraying Germaine Ribière who, during World War Two, helped bring Jewish children to safety. Beaujard was no newcomer to the philatelic scene as such. She has been designing stamps ever since 2012, but this is her first outing as a stamp engraver. Sophie's father, the engraver Yves Beaujard, was very much at the root of her enthusiasm for the arts. She received her training at the Ecole Estienne in Paris from 1982 to 1988, and finished it under the tutelage of her father. From 1990, Sophie has been an independent artist, working for the French Post, whilst also being known for her children's book illustrations. After Sophie submitted two stamp designs, the French Post were interested in working with her, but initially asked her to create date stamps. Soon after, though, she was asked to design the stamps for the 2012 booklet of Romanesque art. She has since designed dozens of stamps, for both France and Andorra. Initially, she was paired with her father, but later she collaborated with the other engravers as well. In 2013, Beaujard submitted designs for the new Marianne of France. Her design was made with an eventual engraving very much already in mind. Having considered various modern styles, she settled on a classic figure, soft and yet full of energy in both expression and movement. Her design made it to the initial shortlist of fifteen of which three were to be chosen by various students throughout France. Beaujard's design managed to end up on that final shortlist as well, but was eventually pipped to the post by the Ciappa/Kawana design. After her father showed her how to engrave, it has always been her aim to become an engraver herself. She kept on training for this, and created several preliminary drawings for engravings, in order to hone her talent. Her favourite subject is the portrait. Sophie has said that she enjoys capturing a certain expression, mastering the many facial features. 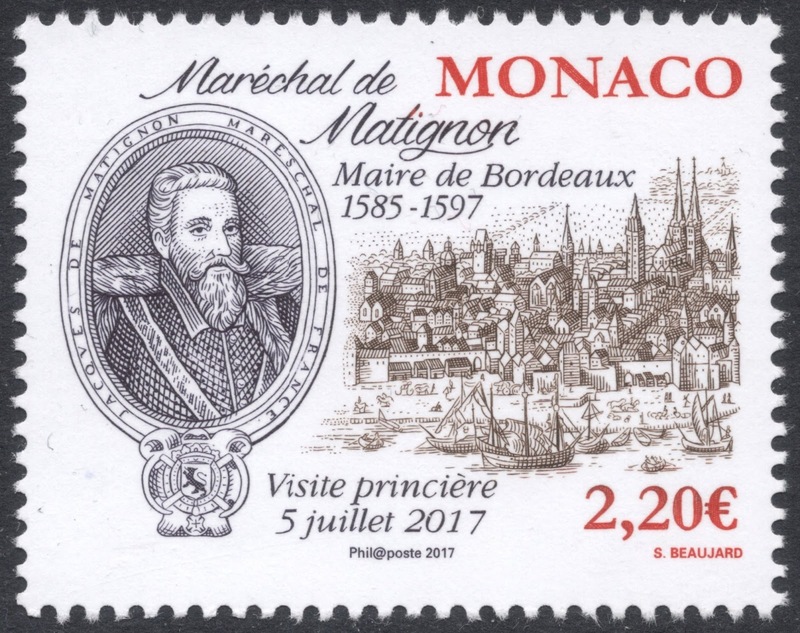 Her dream has finally come true in 2017, with the issue of the Ribière stamp. It followed hot on the heels of another engraving she made, for the Art du Timbre Gravé, of which she became joint Vice-President in 2016. 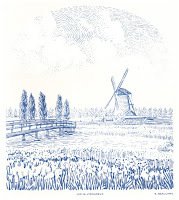 The design was based on the Netherlands, the country which was the 'Guest Country' at the autumn stamp show in Paris. 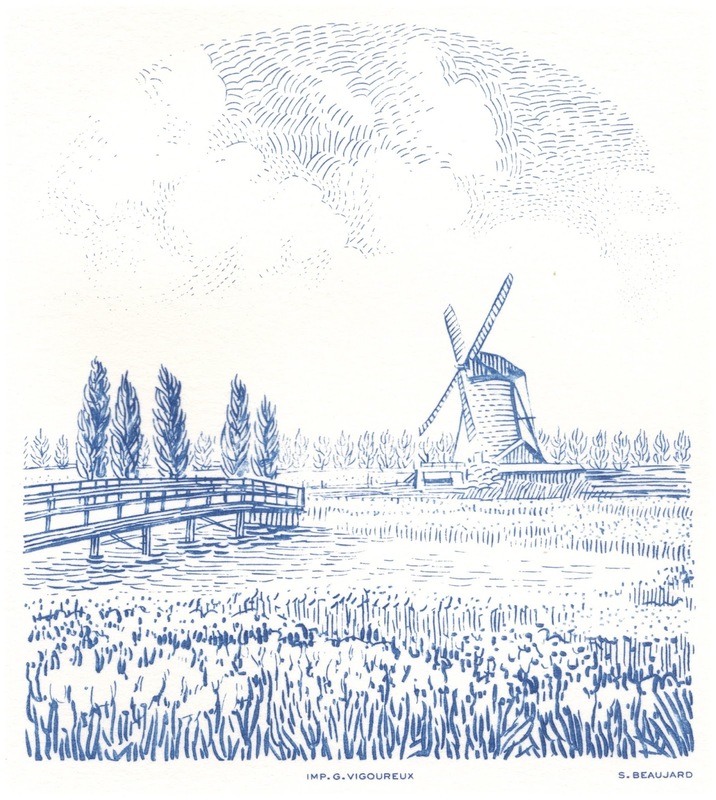 The design brings together various well-known Dutch symbols, such as tulips and windmills and wide horizons, but in a non-touristy way. With regard to her engraving style, Sophie was inspired by the works in ink of Vincent van Gogh. She used a combination of lines and dots for the water and the various items, whereas the sky is made up of more freely curving lines. That way, she hoped to capture the soft light of that vast land. 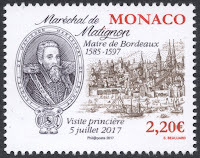 More stamps followed in 2017, such as issues for Monaco and French Andorra, all promising a bright future. You will find Sophie Beaujard's database HERE. Looking at that marvellous first stamp, I hope she does many more. Sophie is a true engraving talent!! I hope to see more from her in the years to come.